Min Hyung Jee wins 2019 National Championship using TSP equipment. 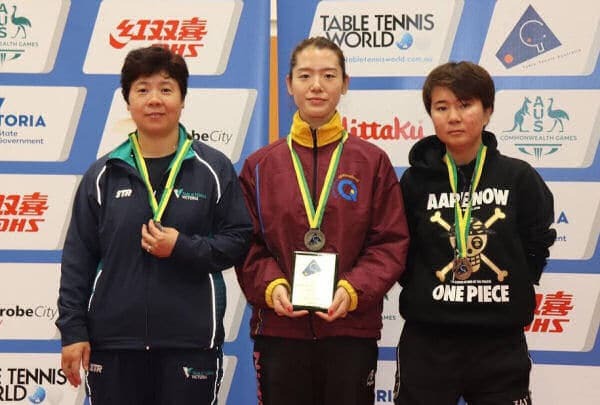 Min Hyung Jee defended her title of the Australian National Champion, by beating Jian Fang Lay 4-0 in the final on Saturday April 13th 2019. She remained undefeated through the Championship, and retains the #1 rated woman in Australia. 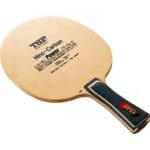 Min Hyung Jee is sponsored by TSP via OOAK Table Tennis Shop, and uses a TSP blade and pimple rubber, combined with an inverted Butterfly rubber. 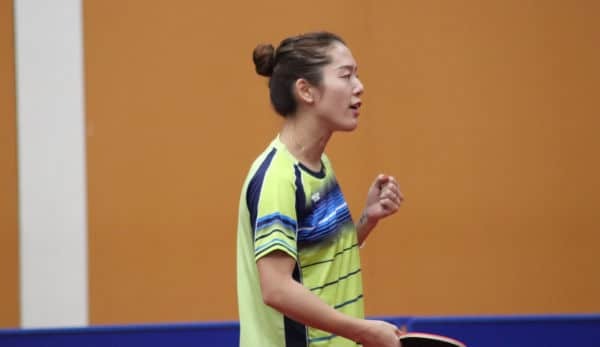 Min Hyung Jee capped off an undefeated National Championships by winning the Women’s Singles title against Jian Fang Lay 4-0 for the second year in a row. 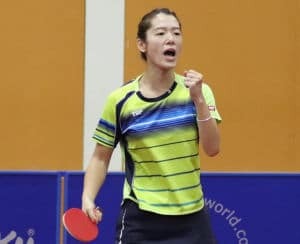 It was an outstanding performance by Jee as she controlled the match from start to finish, playing with measured aggression and with a air of confidence. Congratulations Min Hyung, you’re a worthy champion! Why is OOAK Shop so interested in Min Hyung Jee? Well since late 2018, OOAK Shop and TSP have sponsored Min Hyung Jee, and she’s been using the TSP blade and rubber, as well as wearing TSP attire. She has long been a fan of TSP, having used their pimples for many years, so the sponsorship was a perfect fit! Min Hyung Jee has been using TSP equipment from the start of this year, and judging by her performance, her TSP equipment is a perfect fit! So what blade and rubbers does Min Hyung Jee use? An offensive blade with fantastic feeling and perfect control which are produced through the fine Japanese Kiso Hinoki veneers. The two Carbon layers give the blade the power needed for a dynamical, offensive game. This blade, with a weight of ~85g, can be classified to the lighter Carbon blades. 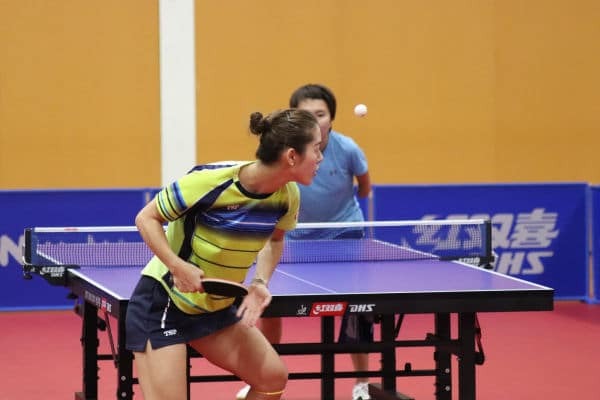 It is also being used by Li Jia Wei of Singapore, the quarter finalist in the Olympics! 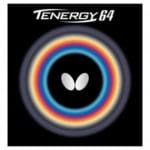 Although Min Hyung Jee tried TSP inverted rubber to see if it would suit her game, she preferred to stick to her trusted Tenergy 64 that she’s been familiar with for a long time. 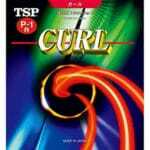 The is one of the most highly regarded long pimples rubbers, used by many of the top long pimple players in the world. It is a very deceptive rubber and highly durable. OX (i.e. no sponge) offers maximum spin reversal and effect. This rubber comes with glue sheet attached to the rubber already.